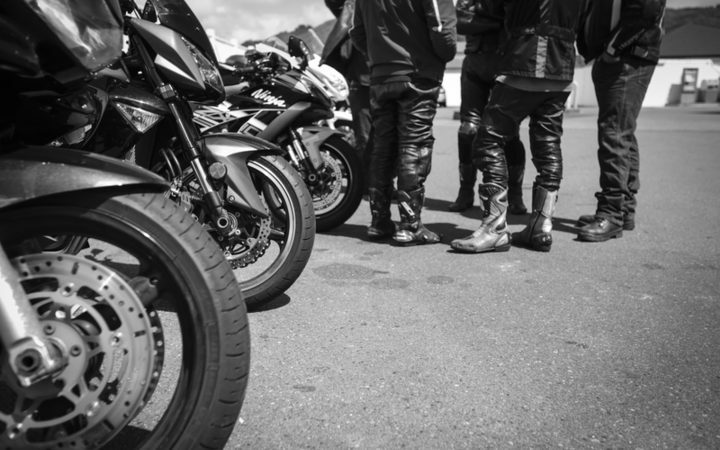 A spate of motorcycle deaths at the weekend could trigger a new licence test for motorcyclists who purchase big powerful bikes. Three motorcycle crashes on Saturday killed four people. Crashes involving other types of vehicles over the weekend took the annual road toll above 330 - roughly the same number as this time last year, which went on to be the worst since 2009. Police Minister Stuart Nash says there's no silver bullet for road safety but if more regulation is required, then it could be looked at. Both Stuart and the Police Association president Chris Cahill says the road toll is nearing crisis point and in the case of motorcycle deaths, the anecdotal evidence suggested it's middle-aged men who did not have the experience to handle large motorbikes who were involved in most accidents. "Dare I say it, it's a lot of men going through a sort of mid-life crisis ... they go out there and buy a big powerful bike and they just haven't got the skills and experience to handle it when they get into trouble and they kill themselves," says Stuart. "Whether there needs to be something in place where if you buy a motorcycle over a certain CC rating then you have to pass a certain sort of test or you've got to be able to prove you can handle it in difficult sorts of situations. "We need to be looking to do something different because too many people are dying on our roads." Stuart says at some point people had to take personal responsibility for the country's horrific road toll. "People need to understand their limitations and ride to those limitations. It's a tricky thing to say but if we want to stay safe on our roads we actually need to be a little bit honest about how good we are in certain circumstances." Not wearing a seatbelt and driving while impaired or fatigued are still three of the biggest contributors to fatalities. Stuart says laws were not made to annoy people, they were there to ensure people got home safely. Chris wants to see better roads, improved safety conditions and an education campaign around safe driving to try and tackle the high number of deaths on New Zealand roads. He says the solution was more than just extra police on the road. "We need to recognise that this is growing to a crisis.